Join our foodie friends Rocky and Mayur on their coastal odyssey in Andhra Pradesh, They taste some fresh seafood at Sea Inn and provide their verdict. Review about Sea Inn starts at the 10 minute mark. This entry was posted in Accolades on May 13, 2013 by vijay. 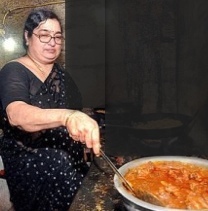 For K. Lakshmi Devi, chef at Sea Inn, near GITAM University, Rushikonda, it is solely the love of cooking that drove her along with her husband to start this seafood restaurant twenty years back. Known for her cookery skills in her home kitchen, she decided that a restaurant specialising in serving home-style meals was a great business opportunity. Shy, but ever congenial, Ms. Devi wields her ladle like a wand as she perfectly blends together spices to make her hot curries. She says, “Initially, when we started, our only customers were the nearby college students; but as word spread, clientele increased, and we won prestigious food awards. Now, this acts as a stimulant and motivates us more.”K. 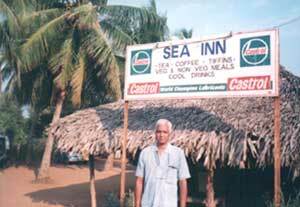 Srikanth, manager with Bosch, says, “I studied at GITAM and we always had lunch at Sea Inn. We never felt the need to get food from home as the food here tastes exactly like home-cooked.” Smiling sweetly and wiping the sweat off her forehead with her sari pallu, she concludes, “Even though my children are well-settled now, cooking lunch here has become a happy routine that I am not ready to stop.” For a special dish to order call: 9866806353. This entry was posted in Accolades on June 30, 2012 by vijay. This entry was posted in Accolades on June 9, 2012 by vijay. This entry was posted in Accolades on December 20, 2011 by vijay. Upper Crust – They Sell Seafood On The Seashore! The wife cooks, the husband serves… that is the story behind the success of Sea Inn, the popular eatery serving coastal Andhra food on Rishikonda Beach, finds UpperCrust. ON the Rishikonda Beach Road about 15 kilometres outside Visakhapatnam, stands a quaint thatched cottage with a Castrol-sponsored signboard that says “Sea Inn”. It is a small little restaurant specialising in coastal Andhra food. 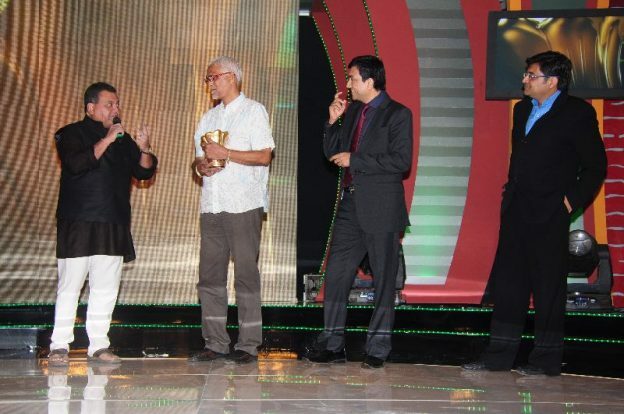 The proprietor, maitre d’hotel, and waiter is a tall, athletic and good-looking man by the name of K. V. Raju. And the cook, working hard in a small and stuffy kitchen behind, is his comely wife Lakshmi Devi. This entry was posted in Accolades on February 20, 2006 by vijay. This place’s name (and its popular nom de plume) are not particularly imaginative but its setting–not far from the sea shore in the shadow of the Rushikonda hill–certainly is. Started in 1988 by Mr. Venkatapathy Raju, originally from Guntur, this restaurant is as low-key as its soft-spoken owner. Even though an element of reverse-snobbery is probably responsible for its growing popularity, Sea Inn is not without its intrinsic charms, chief among these being the fact that it does not pretend to be anything more than what it is–a large hut in which a limited variety of local dishes, tastily but un-fussily prepared and served in an extremely modest setting to a clientele ranging from (on the day we went) retired naval officers and a local MLA to a Punjabi NRI (whose enjoyment of the food did not appear to be affected by the fact that it was unlikely that she had ever been served this kind of food in a regular dhaba) and a large well-to-do family from Calcutta. This entry was posted in Accolades on February 20, 2005 by vijay.